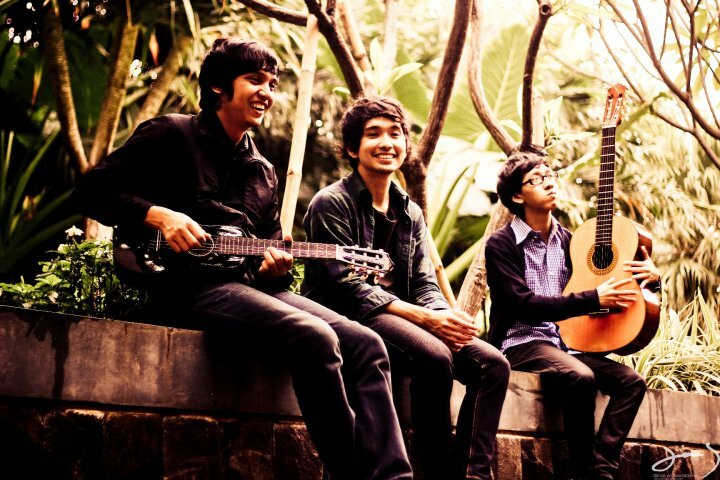 "The Trees and the Wild are a 5-piece alternative folk band hailing from Bekasi, Indonesia. Formed by Remedy Waloni, Andra B. Kurniawan, Charita Utamy, Hertri Nur Pamungkas and Tyo Prasetya. Packed with a wide range of skills, an unlimited stock of creativity juice, and a great taste in music, these gifted individuals breathes more life to the already vibrant music in Indonesia." I don’t know much about Southeast Asian music. Hell, I don’t even know much about our own music here in the Philippines. I guess the closest thing I ever got to Asian music was KPOP, JPOP, and the folk songs they taught us in high school, with a little bit of local rock which I am currently expanding. There wasn't really much of a reason to dive into other countries’ music style. That was before I heard of this band called The Trees & The Wild. I just liked one song of theirs and it is my automatic go-to song when one wants to get on that certain high. Then I started to listen to more of their songs and, please don't take this to offense because there isn't any intended, I was amazed. A part of what contributed to my amazement was that they were Indonesian and this was not what I expected from Indonesian music. Granted, I didn’t expect anything at all because I don’t know anything about Indonesian music. Not much from that country travels to my country, so you can’t exactly blame me. Then, as I started researching, I saw that they were pretty legitimate. They were already featured on TIME Magazine as part of the Five New Bands to Watch Out For in 2011. I don’t remember when I first heard the song "Irish Girl". Irish Girl starts out with this a strange plucking of strings and suddenly jumps in into an upbeat but chill melody. The vocalist lulls you into relaxation. Three minutes into the song, the mood gradually changes into something you want to dance to. Drums, strings, and a chorus that pushes you to dance. "Berlin" has a similar vibe; there’s something tribal to it. In a world where the west has dominated media distribution and our media consumption, it's no wonder that I’ve never heard of a band this good before. Honestly, I have zoomed in my focus on my surroundings in the music scene. It’s hard. It’s really hard to get our local artists up to the charts, whereas any actor or actress can top the charts by singing covers of Western music. I seriously think we should widen our scope of media rather than just focusing on what Westerner’s are distributing to us. I have no idea how to do that yet since I don’t even remember where I heard The Trees & The Wild, but I know it’s possible. Songs that will bring out your inner Nancy Spungen. Throwback to your 2006-2009 emo phase. From Mozart to the Piano Guys.